WE’LL HANDLE ALL YOUR INSURANCE CLAIMS! ACTION AUTO GLASS IS A PREFERRED REPAIR SHOP OF ALL MAJOR AUTO INSURANCE PROVIDERS. IF YOU’VE GOT GLASS COVERAGE, YOU’VE FOUND THE RIGHT PLACE! However, Action Auto Glass takes it a step further. We will handle all insurance claims for you! All claims will be billed directly to your insurance company at no cost to you. 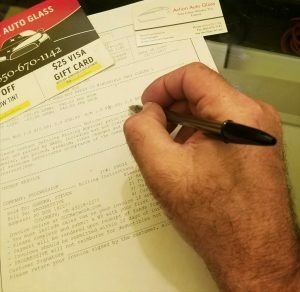 When your vehicle’s glass has been damaged, it’s certainly very frustrating. We do our best to make your vehicle road-ready again in as little time as possible.